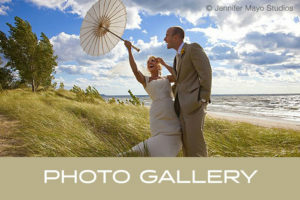 Planning a Beach Wedding on Lake Michigan? Count on us to bring your magical day to life. Marrying the love of your life is a once-in-a-lifetime moment, and our one-of-a-kind wedding venue helps create a day you’ll never forget. 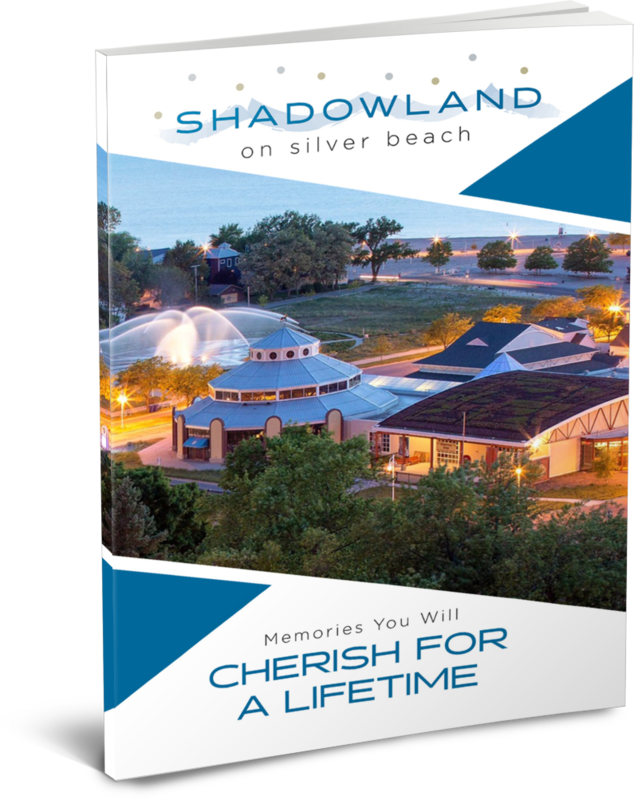 Your families and friends will be swept away by the beautiful setting of Shadowland on Silver Beach in Southwest Michigan. Our ballroom hosts elegant, world-class celebrations in a setting that will make your day extra special. 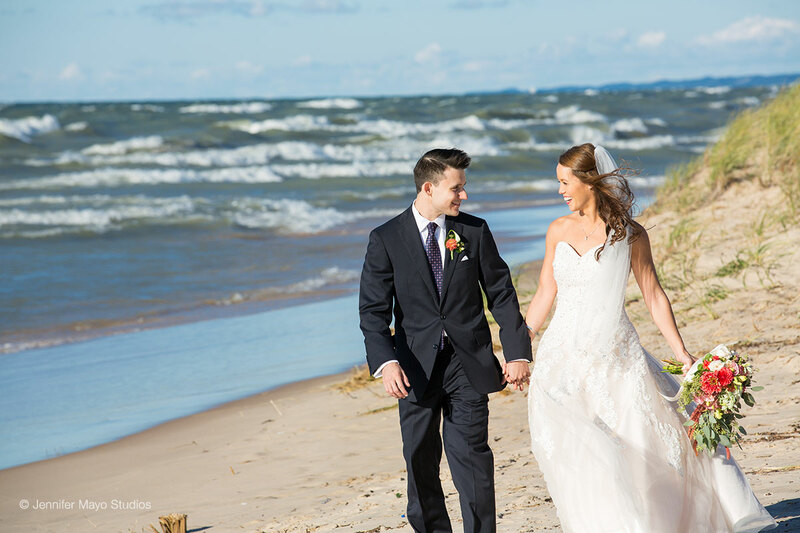 Whether you’re planning a destination wedding or taking advantage of your home state’s miles of pristine beaches, Southwest Michigan sets a beautiful backdrop for your special day. Shadowland is the closest reception venue to Silver Beach and its breath-taking vistas – the perfect place for a picturesque beach wedding. Facing west, nature creates a backdrop of glistening water, with crimson-gold sunsets and a historic lighthouse. The quaint, Victorian-era city of St. Joseph, MI is just steps away, with its brick-street cityscape, tree-lined sculpture park on the bluff and arboretum along the St. Joseph River. And Silver Beach is beautiful no matter the season, from warm summer sunsets to vibrant fall foliage to stunning ice formations in winter. From intimate receptions of 50 guests to large weddings of 275, Shadowland on Silver Beach can elevate your wedding from a special day to a cherished memory. Whether you’re looking for the upscale ambience of a city wedding with beautiful scenic views or a more relaxed ceremony and reception, Shadowland can easily deliver the perfect setting. Herringbone-patterned wood floors beneath beautiful chandeliers create an ambience hard to find anywhere else. 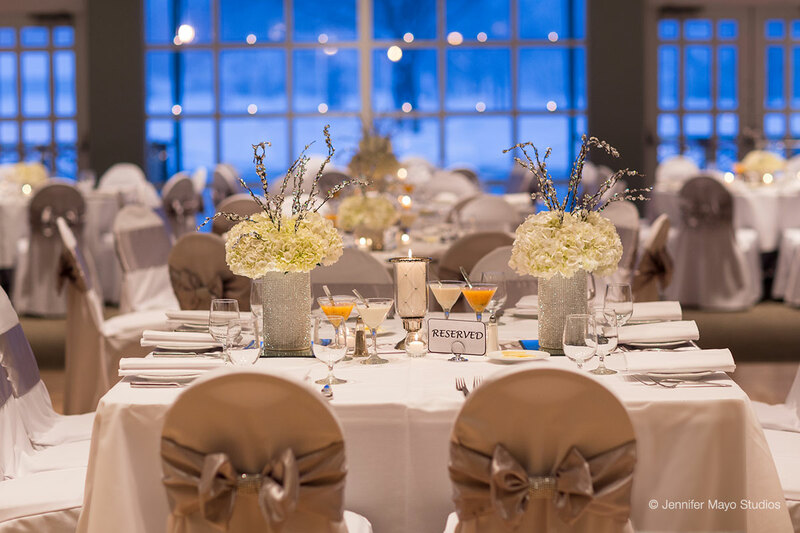 And with Silver Beach on Lake Michigan just beyond the doors, your reception will be beautiful inside and out. Your guests won’t miss a moment of your celebration. With AV equipment hookup, two 13’ HD screens for videos and pictures and an induction loop for guests that are hard of hearing, everyone will be connected and enjoy every moment of your wedding reception. You’ve picked the date and the place – we can take it from here! Planning the beginning of your life together will seem effortless with the help of our professional team members who are passionate about making sure your wedding is the very best experience for you and your guests. Worried about what your guests will do between the ceremony and reception? Before your arrival at the ballroom, family and friends can enjoy cocktails on the Sunset Patio overlooking the lighted Whirlpool Compass Fountain. You can arrange for your guests to explore Curious Kids’ Discovery Zone with its interactive, hands-on learning exhibits that fascinate all ages. And Silver Beach is always a delight, with fairly flat shoreline for leisurely strolling. Yet what truly distinguishes Shadowland is its place in the Silver Beach Center. Across the covered boardwalk from the ballroom is the beautiful Silver Beach Carousel, where you and your guests can ride under thousands of glittering lights on 48 magnificent, hand-carved figures. An optional special occasion package reserves the carousel for in half-hour increments for special photos and unlimited rides for your guests. 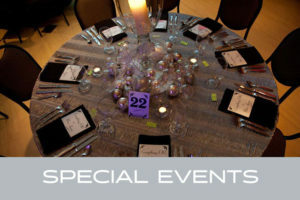 To simplify your life, Shadowland Catering will create a dining experience sure to please everyone on your guest list. We’ll help you plan the perfect menu, filled with 5-star dishes from start to finish. Choose from passed appetizers, filled with kabobs and gourmet flavor combinations, or dips and platters set to keep your guests coming back for more. When it’s time to settle in for your meal, we offer a plated dinner, duet plates or buffet-style service. Shadowland Catering dining options include chicken, pork, fish, beef, vegetable and pasta dishes, as well as gluten-free and vegan options to accommodate your guests. For the little ones, a special children’s menu is available so they fill up on more than just wedding cake. Be sure to explore our theme buffet choices as well, with themes like Southern BBQ, Polish Feast, Baja Bar and more! We also provide the liquor license which covers a variety of beverages so that you and your guests won’t want for anything. Our house beer and wine package is always a hit, but if you want to add some local flavor to your wedding, we offer a Michigan beer and wine package filled with local producers from Michigan’s Great Southwest. Located just below the bluff in downtown St. Joseph, Shadowland on Silver Beach is easily accessible from I-94 Exits 23 or 33. It’s next to the Amtrak® train station, and downtown hotels are within walking distance. 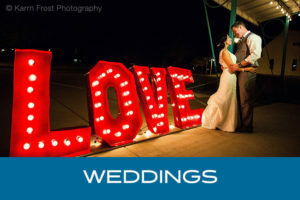 There are an abundance of hotels and salons, wedding apparel shops and transportation services in the area. Downtown St. Joseph itself is a great experience for guests whether they are just visiting for the day or have made your special day into a special weekend. With great restaurants, breweries, wineries, quaint shops and, of course, top-tier beaches, St. Joseph is an excellent location to host your wedding.